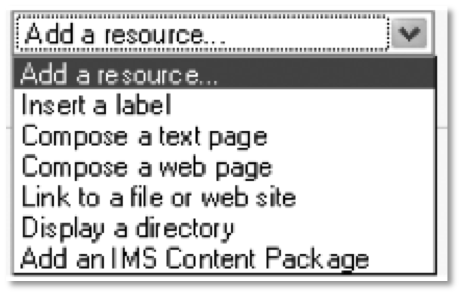 Although Moodle sites can be configured in various ways, most of the information here is generally applicable. This is a work in progress – feel free to leave your own question as a comment at the foot of this page. I’m new to Moodle – what do I need to know to get started? 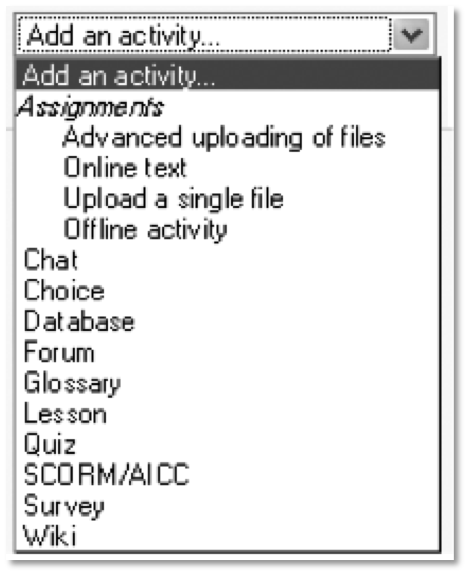 In the administration menu in the left-hand column, click on Settings to change your course settings. While there are lots of options here, the one you’re most likely to need early on is to change the number of topic blocks to display or to change your course from Topics to Weekly format. Choosing an item from one of these drop-down menus adds an item of that type to the block. The most common Activity you will probably need is the Forum. The quiz, glossary and wiki are also very commonly used. What online help is available? It provides context-sensitive help on using whatever function you are carrying out so can be really useful as your most immediate source of help. The help opens in a new window. This provides more general help for the page you’re looking at. By default, this does not open a new window – you might find it useful to ctrl-click or right click the link to make it open in a new window or tab. Check out this free online book for clear and detailed explanations of all the Resource and Activity types as well as ideas on how to organise your course. You can access it online or download it as a PDF file. If you can’t work it out yourself, contact your e-learning advisor. It might even be me. Most courses use ‘automatic enrolment’ by default. That means that students will be automatically enrolled in your Moodle course from the student database. If your course has not yet been made available, they won’t be able to see it or access it even though they are enrolled. 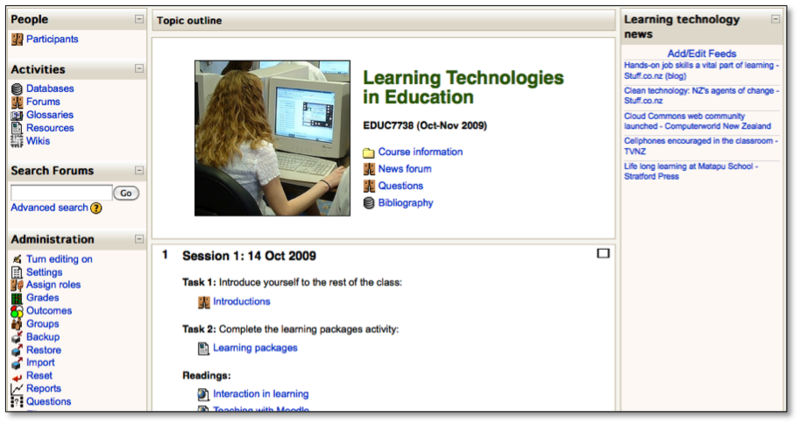 When should I make my Moodle course available to students? In general, you should make your Moodle course available from day 1 of the course at the latest – although there may be times you need to make an exception to this. But: if you make your course available before the start date and post an announcement to the news forum, only those already enrolled will receive the announcement via email. So you might find it more effective to delay posting a welcome announcement until the day the course starts. If I take over a course from another teacher, can I show her posts as coming from me? There’s no simple way to change the author of forum postings – basically the name and photo of the previous teacher attached to forum postings are generated by the system. 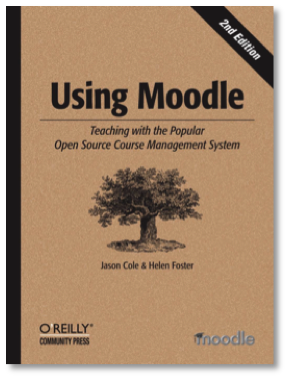 Since Moodle is based around a social approach to teaching and learning, the identity of authors is always retained. You can reset the course but that will empty out all the forums and you will lose those posts altogether, which is probably not what you want! You can edit the other teacher’s posts and they will show as having been edited by you (but will still appear as being created by her). If you need to create new posts under your own name the simplest way is to copy and paste the text of each of the earlier messages to a new post then delete the earlier one. This takes a bit of time but it gives you the chance to update or amend the post which is normally needed anyway. Can I change the layout of the Moodle page? Most blocks on the Moodle page can be moved using the small arrow keys. Topic blocks (in the centre column) can be moved up or down, while the smaller blocks in the left or right columns can be moved left or right to the other side column, or up and down. But… many organisations have a standard layout for courses, and it will cause problems for students and teachers if you mess with this layout without good reason. 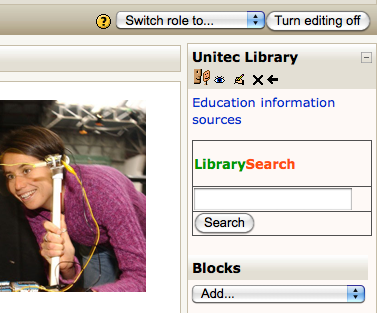 For example, the illustration shows a block which allows users to search the institution’s library from within Moodle. Every course has this same block in the top right corner of the Moodle course page. In general, anyone with teacher rights can hide, delete or shift this block to somewhere else on the screen. However, even moving the block will detract from the user’s ability to quickly find the information they need. So, as a rule of thumb, never change the position or visibility of the standard blocks on the Moodle screen unless there is a pressing need to do so. Which forum display option should I use to make it easiest for students? When you are viewing a forum thread (ie a topic with replies) you can change the way the thread is displayed – eg oldest first or newest first or threaded form or nested form. But these are just temporary options for the viewer, so they don’t change the general forum settings: any reader (eg a student) can change the display options when viewing a forum thread. So however you set the option, it won’t change how the student sees the thread. My name is ‘Mary’, not ‘Marie’ – how do I change it? Click on your name near the top-right where it says ‘Logged in as…’. PS: while you’re editing your profile, you should also upload a photo of yourself and write a brief personal note in the description field.